There isn’t much down time though, with play getting underway on Thursday from TPC River Highlands in Connecticut for the playing of the 2012 Travelers Championship. Simpson moved up into the top-five of the World Golf Rankings this week, moving up to No.5. He is the only player in the top-five in the field this week, but there are plenty of notable players looking win to win the Travelers. In fact, both of this year’s Major championship winners are in the field, as Masters champion Bubba Watson, the No.6 player in the world, will try to rebound from a very disappointing outing at the U.S Open in which he missed the cut. Simpson comes in as the one of the favorites to win this week, along with Matt Kuchar and Hunter Mahan. Both Kuchar and Mahan had pretty good weeks at Olympic Club. And both have had great 2012 season’s overall. Kuchar won The Player’s Championship, while Mahan has won twice, including the Accenture Match Play title. These three players are set at 14/1 on the odds to win the Travelers Championship this season. Rounding out the top-five favorites will be Zach Johnson and Padraig Harrington, coming in at 16/1 and 20/1 respectively. But the players will at least have significantly less difficulty navigating their way through TPC River highlands as opposed to the course they just faced in San Francisco. In fact, it might seem like a vacation after the nightmares from Olympic Club. 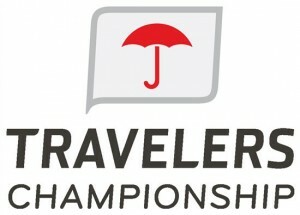 The 2012 Travelers Championship can be seen on the Golf Channel on Thursday and Friday, with CBS picking up the coverage on the weekend. Below are the full field odds for this week’s PGA tournament.